Re-recorded by Sarah and produced by Frank Peterson, the UK version of “I Lost My Heart to a Starship Trooper” contains four remixes and was released to coincide with the movie Starship Troopers. 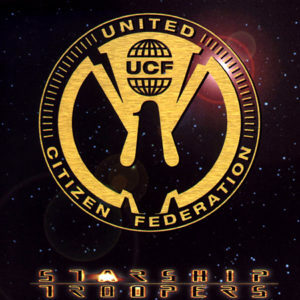 Although the song did not appear in the movie, the CD-single cover used graphics from the film, and the accompanying music video was a juxtaposition of clips from the Starship Troopers movie and the original 1978 Sarah Brightman music video of “I Lost My Heart to a Starship Trooper”. With more of a driving dance beat (and less of a disco beat), the single was geared towards dance clubs. The European version contains five remixes – four of them distinct from the remixes on the UK release. 1.D-Bop’s Saturday Nite Radio Ed.